CSP delivers continuous policy-based monitoring of network flows and native security controls to detect, block and quarantine malicious threats. Alerts are sent upon detection of unauthorized change in the native-security rules. Continuous monitoring across cloud infrastructures at multiple layers. 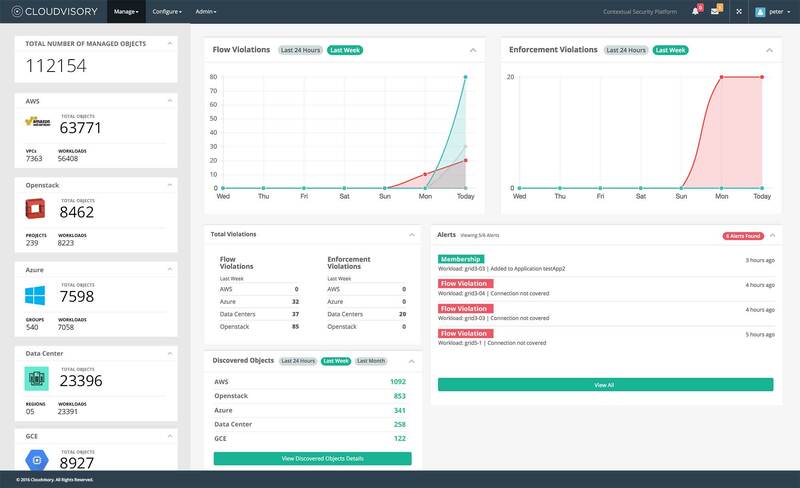 Auto-detects all managed network data flows and compares them in real-time for compliance to deployed native cloud security policies. Flow violations are immediately alerted on, blocked, and workloads quarantined, stopping threats dead in their tracks. Rollback of malicious or accidental changes based on cloud-native control enforcement points for compliance. Delivery of Flow Analytics, assessing network flows to identify anomalies, detect threats and alert on potential malicious activities.